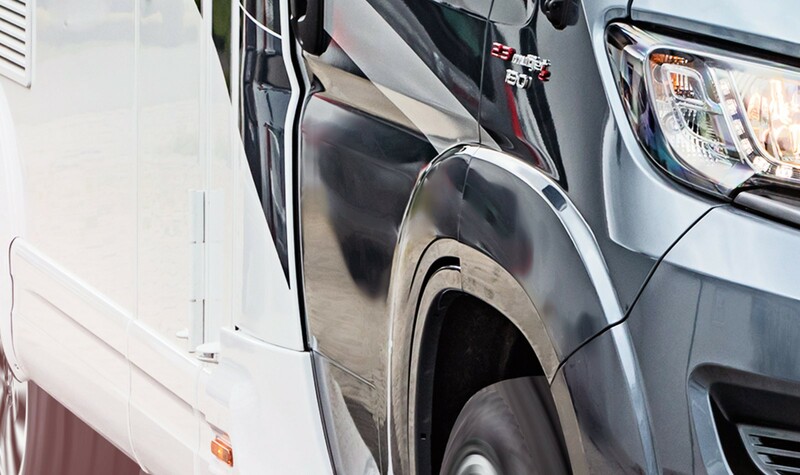 The lightest in its class – and also the most beautiful! 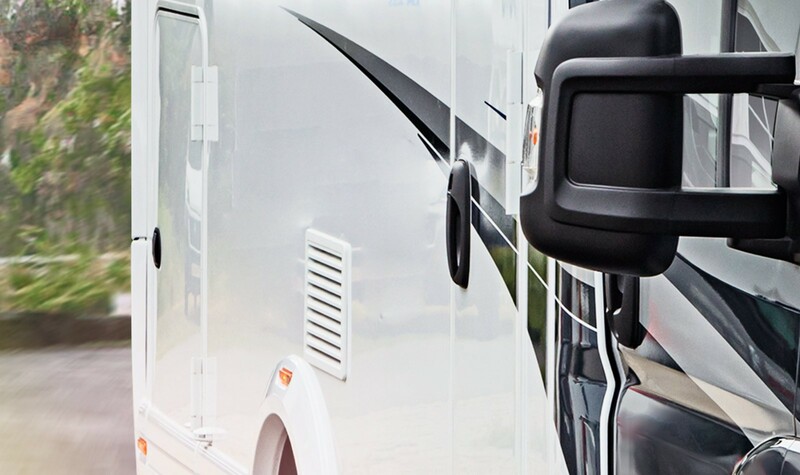 Designing a compact motorhome is already difficult as it is – but that it still came out looking as good as it does is a testament to the master craftsmanship of our designers. 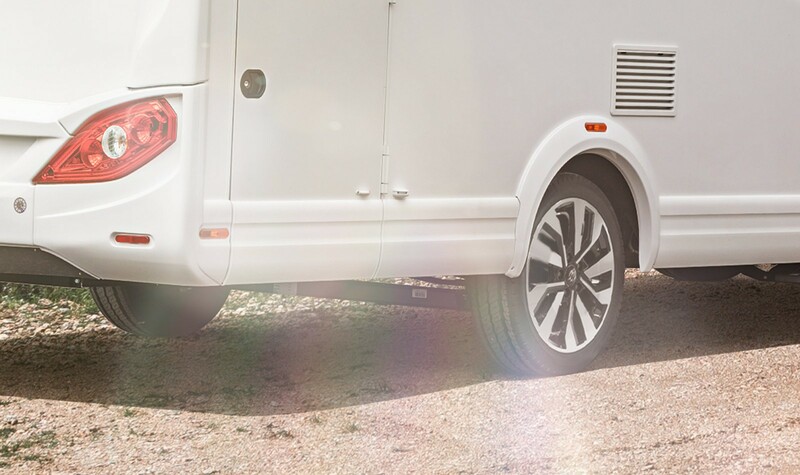 From the front to the back, the exterior of our VAN TI convinces through its many exquisite details that enable the sporty and dynamic appearance of the compact, lightweight camper van to be fully realised. 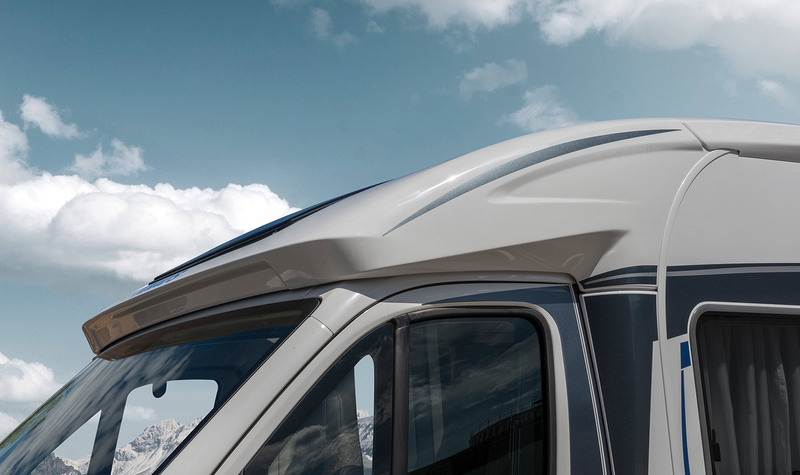 With the curved roofline and the elegant mouldings on the rear, the VAN TI is definitely a top design among compact motorhomes. 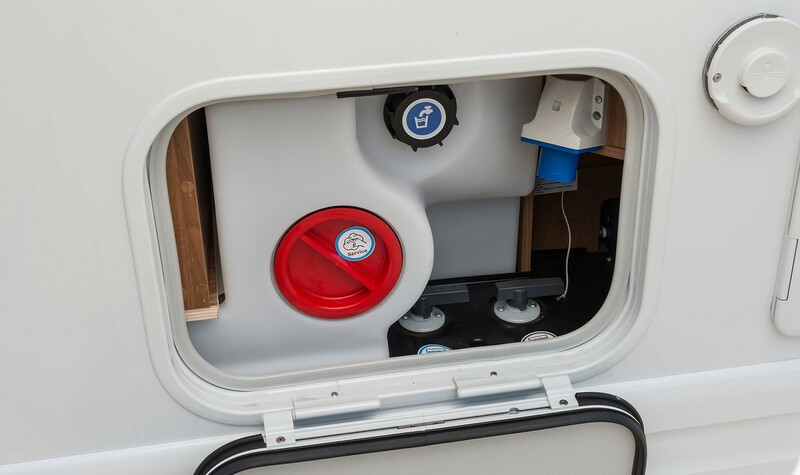 A door in the side wall provides exceptional ease of access to the gas bottle locker. 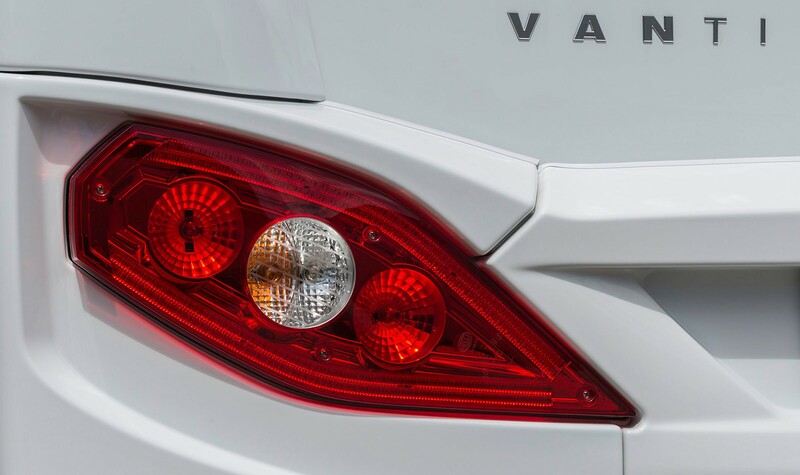 Cat‐Eye hybrid rear lights with LED technology round out the striking rear view. 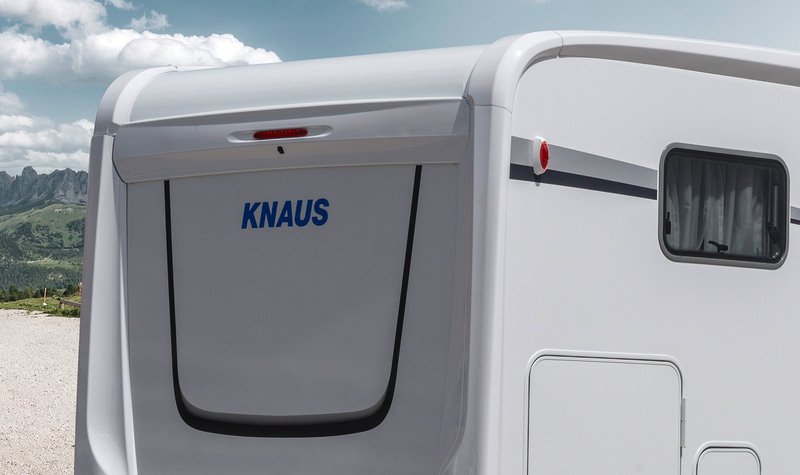 An elegant transition with no visible screw fittings and with perfect gap dimensions: This is where you can see and feel the excellent quality. Underfloor measuring 48 mm thick with XPS insulation and protective aluminium layer for an optimum indoor climate and maximum durability. Automotive design thanks to wraparound frame look. Service Box accessible from the outside: incl. fresh/waste water tap and 230V Euro exterior connection.